Memorials & Tributes - Senior Citizens​Activities, Inc.
From the warmth of heart, we continue to Bloom. It is our honor to acknowledge and commemorate donation made "In Honor Of" or "In Memory Of" a beloved family member or friend. Thank you for this amazing gift which continues to bloom in the lives of others, providing immeasurable joy, friendship, health, wellness, education & more to our senior community. ​​Your name recognized on the SCAI Donor Plaque at our Center. ​Your loved one recognized on SCAI's "Bloomin' Forever" website page (photo & loving memories / accomplishments posted as you so desire). ​​A personal letter from staff & center participants remembering your loved one & expressing thanks for your gift. ​​Your loved one recognized on SCAI's "Bloomin' Forever" website page (photo & loving memories / accomplishments posted as you so desire). ​A personal letter from staff & center participants remembering your loved one & expressing thanks for your gift. Our mother, grandmother and great-grandmother, Betty Bloom, lived to serve people and make this world a better place for those she held dearly in her heart. 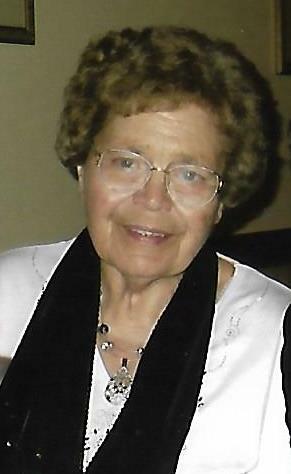 Mom was a humble, loving woman who shared her many gifts with family, friends and her community including the Washington County Senior Center. Whether it was creating treats for the bake sale or giving away her homemade apple sauce and strawberry jam or embroidering a work of art for a loved one, mom gave from a place of love. 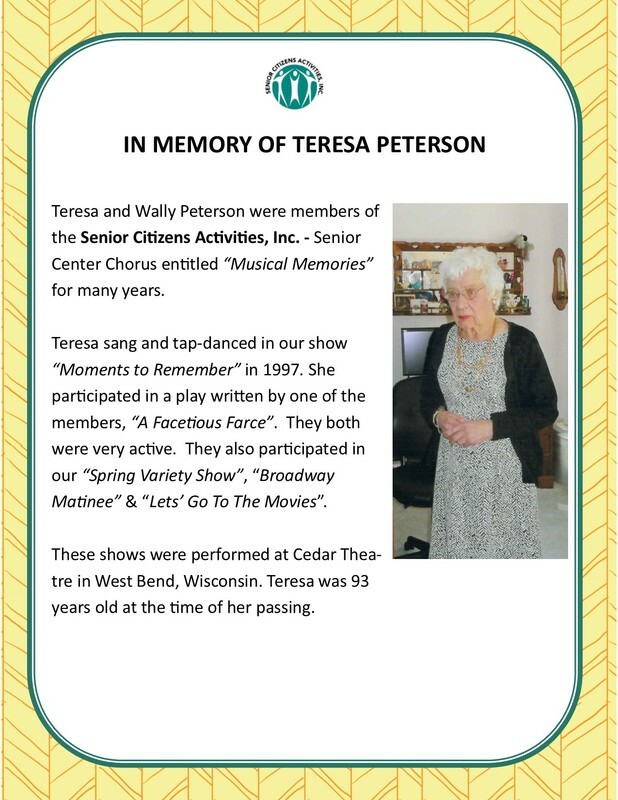 She was beloved by her Wii bowling team, her cribbage friends and everyone who had the privilege to meet her. 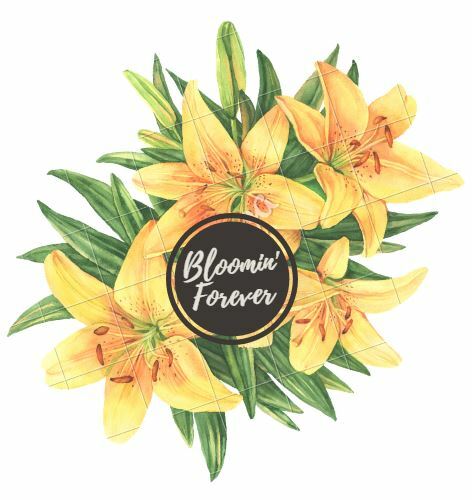 Our family is honored that SCAI is carrying on her spirit with the Bloomin’ Forever Program. Mom loved the Senior Center and would regale us with stories of her friends, the games, the dinners, the fund raising activities and the love that she received from all of you. It is in this spirit that we are pleased to donate to the Bountiful Bouquet level on behalf of our mom, Betty Bloom, so that her love may bring happiness and friendship to all who share in this community. We love you mom, and believe that you are with us always. Do you care to give us more of a story about the loved one you are honoring through your "Bloomin' Donation"? We love to read about the wonderful reasons you are donating on a loved one's behalf, plus we just love a good old-fashioned letter! 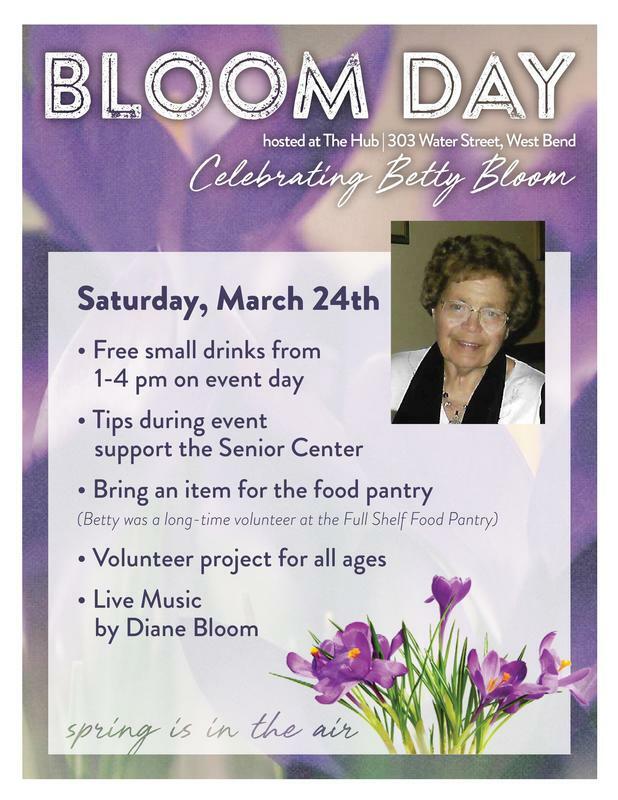 "Bloomin' Donations" are always accepted in person at the Senior Center. We'd love to meet you in person, hear about the individual you are donating in honor of, show you our Bloomin' Recognition Board & the thriving seniors in action at our Center!